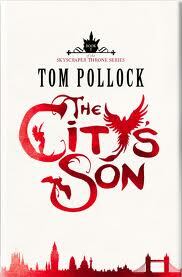 Categories: Dystopia, England, Fantasy, London, Social/Family, Thriller, Uncategorized | Tags: Tom Pollock | Permalink. Categories: Paranormal, Thriller | Tags: Tom Pollock | Permalink. This is my top list of books from 2013. I tried to keep the list short, I failed. There were too many awesome books out this year! This latest offering from Zoe Marriott is quite possibly my favourite of hers so far. I was in awe the entire way through and I loved how Zoe gets across the complexity of the main character without making the whole book hard to read. Any fan of Roald Dahl should be reading this book. It is quite simply awesome! I couldn’t put it down, I laughed and I cried but most of all I loved every bit of it! I am a sucker for psychological thrillers so I was grabbed by this the minute I started reading. Following the story of an 18 year old girl who was awaiting trail in the mental health ward of a young persons unit this is a must for people who like stories that get into your head. This book holds a special place in my own heart and it is a fantastic and brilliant example of British Contemporary fiction! I can’t put into words my love for this book but I enjoyed it so much I wrote a letter to the book instead of a review of it! Following the story of a guy who gets a baby he didn’t even know existed left on his doorstep this one is well worth a read! I’ve read two Cat Clarke books this year and let me tell you, it was hard to chose which to put on this list. I decided on Undone purely for the emotions that overcame me whilst reading the book. Its a gut wrenching story which leaves you in shock and makes you want to return to the start and read all over again. I’m not good with fantasy books, especially high fantasy that looks like its so far beyond what we are used to in everyday life that it will make my head hurt. However The City’s Son goes on this list for making me see that I shouldn’t be scared of this type of book, it was fantastic and once I got used to the world (which didn’t take long!) my head didn’t even start to ache! Categories: Books of the Year 2012 | Tags: Cat Clarke, John Boyne, Keris Stainton, Malorie Blackman, Sarra Manning, Tanya Byrne, Tom Pollock, Zoe Marriott | Permalink. Positively fizzing with imagination. And pylon spiders. Who wouldn’t want to read about those? 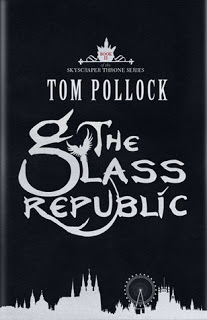 Categories: Books of the Year 2012 | Tags: Cat Clarke, Tom Pollock | Permalink.